Yumemi Hirugao. 1000 pieces. 68 x 48 cms. Manufactured by Educa. Shu painted a beautiful fantasy world, Yumemi Hirugao, where all your dreams blossom and troubles wither away. 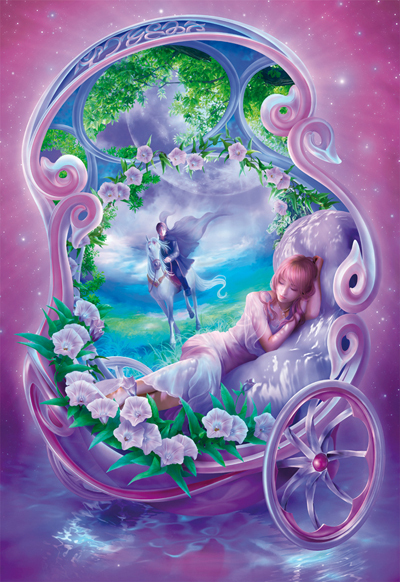 This purple dream world is the perfect puzzle for fantasy art lovers. 1000 pieces. 68 x 48 cms.